Gardening in Washington State » Search results for "house pests"
Search Results for "house pests"
Do woody mulches attract termites, carpenter ants, and other pests? Many wood-based mulches are not attractive to pest insects but are actually insect repellent. For instance, cedar (Thuja) species produce thujone, which repels clothes moths, cockroaches, termites, carpet beetles, Argentine ants, and odorous house ants. 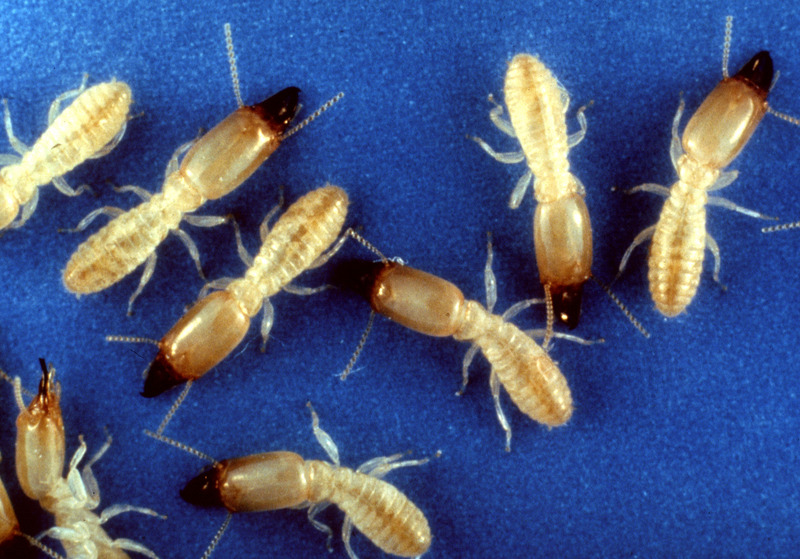 In general, termites prefer higher nutrient woody materials such as cardboard, rather than wood chips. For more information on wood chip mulches, see “Using Arborist Wood Chips As a Landscape Mulch” WSU Extension Fact Sheet FS160E. 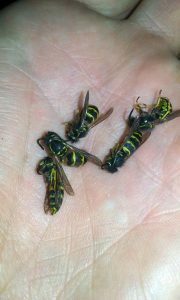 Yellowjackets and paper wasps may become aroused and attack in defense of their nest when disturbed and can be pests when they build a nest on or near your house. Nests of most species are placed underground in rodent burrows or other soil cavities and colonies attain maximum size in August and September. Worker yellowjackets, then at their peak, become pestiferous. Yellowjackets may be attracted in large numbers to food at picnics, to honey bee colonies, and to garbage cans. Submitted by: Dave Pehling, Octobr 23, 2017. 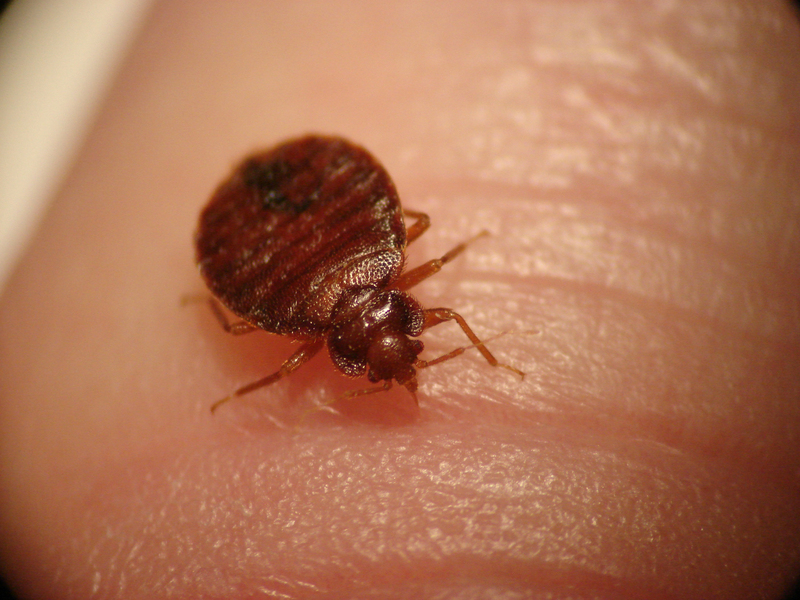 Whether it is spring fever or the opening of the Master Gardener Clinic in Yakima County, March and April tends to bring out the worst in bed bug sightings. Since bed bugs are household pests, there should be little or no seasonality to bed bug abundance. The saying “sleep tight, don’t let the bed bugs bite” is not just a quaint bedtime rhyme, but also a reminder that bed bugs do exist, and they require human blood meals to survive and provide for their offspring. In today’s highly mobile society, bed bugs have reestablished themselves as household pests. Bed bugs are not known to transmit human diseases, but they can cause skin welts, local inflammation, and contribute to insomnia. Bed bugs have been found in homes, apartments, rental units, and even hotels throughout Washington with increasing frequency. Cimex lectularius is the most common species that feed on humans. 1) Avoid introducing bed bugs into your home. Homeowners should not acquire second-hand mattresses and upholstered furniture without first quarantining them. 2) Remove or replace any infested furniture, including mattresses, box springs, couches, and upholstered chairs, whenever possible. 3) Clean and vacuum furniture and mattresses and wash bedding weekly. This will reduce, although not eliminate, bed bug infestations. 4) Establish a barrier or space between the bed and the floor to further discourage bed bugs from climbing onto the bed (remember bed bugs are wingless and cannot fly). 5) Obtain pesticides labeled for indoor use against bed bugs. Look for an annually revised listing of these products on the WSU Pestsense website at http://pep.wsu.edu/pestsense/. 6) Inspect sleeping areas in rooms adjacent to the infested area since these surprisingly mobile, yet wingless, bugs can move into surrounding areas. The incidence of bed bugs is on the rise in North America, so precautions to avoid introducing them into your home are prudent. Bring any bugs found during a home inspection or captured on sticky traps or cards to your local Extension office for identification. While there are management strategies that homeowners can take to reduce the incidence of bed bugs in an infested household, the best management strategy is to cooperate with a local pest control professional to eradicate the problem.